Don't worry, the money you spent on the Batman costume for your chicken has not been in vain. 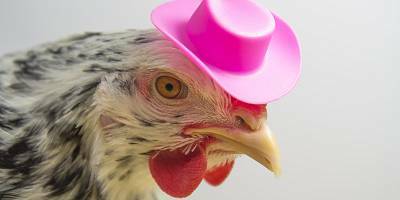 So many people are apparently dressing up their chickens for Halloween that a government agency issued a news release about whether it's safe. 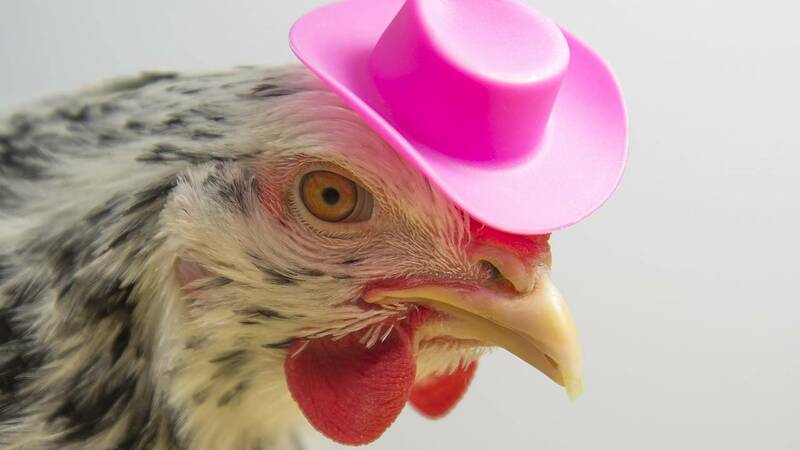 The Centers for Disease Control says it's OK to dress up your chicken for Halloween, contrary to erroneous media reports saying the CDC warned against it due to a risk of salmonella infections. Whew! The announcement came less than two weeks after more than 90 people became sick across 29 states from a drug-resistant strain of salmonella in raw chicken. Whether you're a farmer or a Silicon Valley mogul, the agency says you should take certain precautions when dressing your chicken as Captain America so that you don't end up with a spooky case of salmonella. The government agency advises to wash your hands thoroughly with soap and running water or alcohol-based sanitizer after touching chickens. Also, don't let them in the house, where they could contaminate surfaces and possibly eat the last Reese's Peanut Butter Cup. The CDC also says not to eat or drink in the area where the chickens live, so throw back those Skittles in the living room, not the chicken coop. Also, resist the urge to snuggle or kiss adorable little Nugget in his Superman cape because salmonella can be transmitted through mouth contact. That also means if he gets his beak into your Sour Patch Kids, he has claimed them as his and you shouldn't eat them. That goes doubly for children under 5, who should not hold or touch chickens because their immune systems are still developing and they are more likely to put their fingers in their mouths, the CDC says. You can now happily return to cutting that beak-shaped hole in a Freddy Krueger mask.